Every business owner that has invested heavily to start and run a business knows that the challenge that keeps him awake at night is how to secure his or her investments. Our commercial locksmith company services are designed in such a way that gives you a full night rest since we’ve got your back covered. 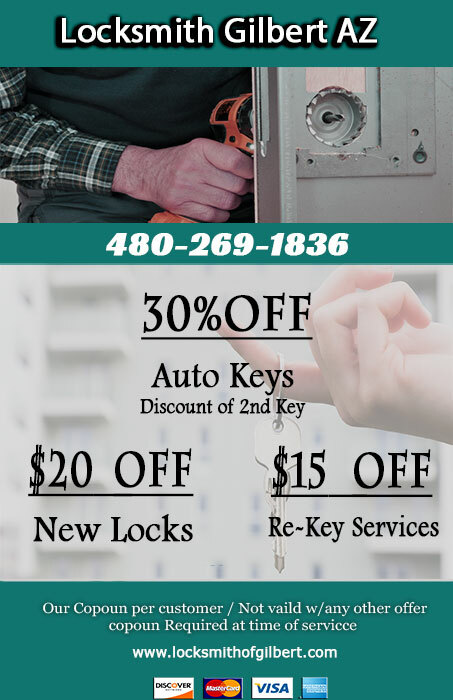 Locksmith Gilbert AZ takes your requests to a higher level. When you need help, we provide you with the best products or use our best resources. For example, and this is common, if you want to change office Lock to give yourself and your building added security, we have some of the toughest locks in the industry. Before making any installations, our professionals will sit or stand with you to find exactly what your goals are. We will then assess your current setup. After this, our commercial locksmith will work with you to come up with a plan to bridge the gap. Paying attention to the needs of our customers is just the way we do commercial locksmith business. We don’t oversell and we don’t recommend what you don’t need. For example, if you can get away with rekeying your doors, we don’t try to sell you new locks if you don’t need them. Similarly, if you have an office lockout, we don’t replace your keys if you have spares, that is, unless you want us to. You will find us stress and pressure free when we arrive to unlock your door when you have been locked out of your business. Our locksmith business is done with skills and with care. Our team is not only skilled in handling all your needs; they are also available and capable of giving you professional assistance when you need it. Do you need a master lock system? Do you want a single key made that can access all your doors? If you do, we will offer you this service in a relatively easy manner from a professional commercial locksmith. You should also, with our help, investigate the benefit of installing an exit panic bar in all your emergency doors? Why would you want this device if you already have exits installed? One obvious advantage is that you will be able to help your employees or customers get out of harm’s way if and when you need to evacuate your building. Commercial Locksmith Gilbert AZ can provide you with more information about this gadget and help you install it if you would like.